THE CYNICAL suggestion “Vote early, and vote often” is attributed to infamous gangster Al Capone and his attempts to rig elections in his general favour. While there is no suggestion of any such unsavoury behaviour in the upcoming meat co-operative elections, the call for red meat producers to participate has gone out loud and clear – vote! Sheep and beef producers are being extolled to participate in both the Alliance Group and Silver Fern Farm director elections and help change the outlook for the struggling red meat sector. These calls are led by the farmer lobby group and agent for sector change, the Meat Industry Excellence group (MIE), which believes new blood on both the boards of Silver Fern Farms and Alliance Group will see the start of its proposed industry revolution. Lofty claims, but are they realistic? Are these assertions simplistic and naïve? Former MIE members Richard Young and Dan Jex-Blake are both standing for election to the Silver Fern Farms board. And fellow ex-MIE member Don Morrison has tossed his hat into the ring for the Alliance board. 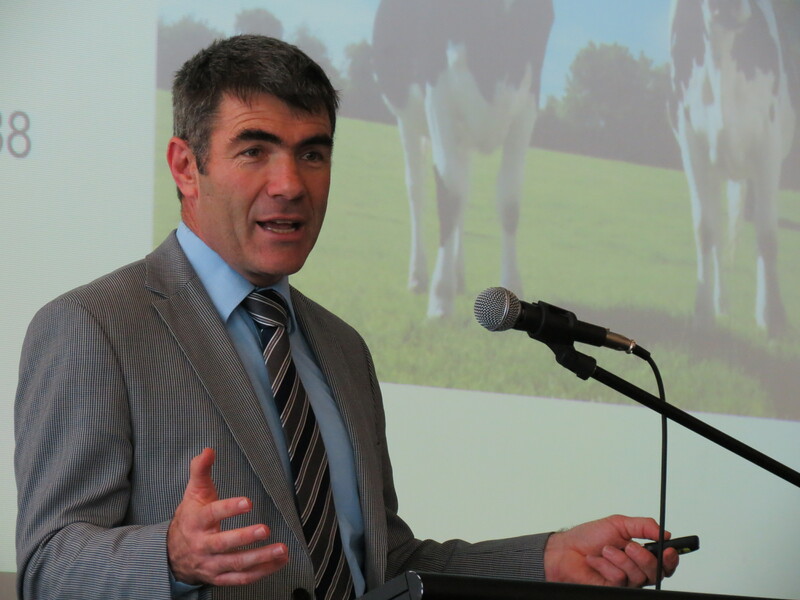 However, a move by MIE to get Fonterra director John Monaghan also onto Alliance’s board hit a technical glitch. Monaghan was ruled out as a farmer candidate for Alliance’s board when it deemed he did not meet the company’s constitutional criteria for farmer-elected directors. Now there’s an effort to get him appointed as an independent. Alliance chairman Murray Taggart told Rural News (Nov 5) that Monaghan’s background doesn’t appear to fit the criteria the board are looking for in an independent to replace Owen Poole. 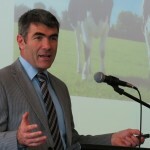 While not questioning Monaghan’s ability, Taggart said Alliance needs diversity at its board table and already had strong representation from farming and dairying. All fair points. No one would argue that current red meat returns are sustainable or desirable. Nor does anyone not think better returns for all parts of the meat sector are necessary. Who knows if MIE-backed candidates are the right or wrong answer to the industry’s serious problems? That is for meat co-op shareholders to ultimately decide. However, what red meat producer cannot afford do is allow apathy to rein. They need to get abreast of the industry issues, ask questions, do their homework then cast an informed vote. Sheep and beef farmers cannot constantly complain about poor returns and need for industry reform if they do not exercise their electoral duty. It is as simple as that. Minister for Primary Industries Nathan Guy wants to see a doubling of New Zealand’s primary exports to $60 billion by the year 2025. Even Guy, himself, concedes this is going to be “a challenge”. As he admits – it is good to have something to aim for. Guy has reiterated his aim to double New Zealand primary exports a number of times since taking over as Minister back in February. It is also now a stated target of the Ministry for Primary Industries. But just how realistic is such a lofty goal and how will it be achieved? According to Guy, the Primary Growth Partnerships (PGP) will be a big part of it. He says over the next seven years, some $650 million will be invested into PGPs – with government meeting 50% and industry putting up the rest. Impressive returns if these can be realised! And speaking of unrealised potential, another of Guy’s aims is to unlock Maori agribusiness capacity in this country. He believes this is possibly worth about $8 billion annually to our economy, according to a recent MPI report. As an example, Guy cites a small project where soil analysis was done on 240ha of Maori land, which showed some major opportunities for Manuka honey that is very lucrative in China. He says Maori agribusiness has an opportunity to use the New Zealand story for marketing, and work is being done on this by New Zealand Trade and Enterprise, Foreign Affairs and MPI. We have already seen what a potential powerhouse Maori agribusiness could be in the sector via things such as the Ahuwhenua Trophy competition and businesses like Miraka. $8.8 million has been awarded to the Sustainable Farming Fund for a number of projects that will eventually lift productivity as well, Guy says. “We know if we can lift the average New Zealand farmers into the top quarter then that’s worth about $3 billion in exports a year. A 1% productivity gain by New Zealand farmers is worth about $4 billion in exports a year. There are huge opportunities…. That links into the Lincoln hub and why we made that announcement, because we believe we can get much greater synergies from having the 900 best scientists in one place working together… fewer silos, more collaboration. There’s early indication the private sector is keen to come in there as well. “So it’s important when you look at the growth of dairying to have a strong campus in the middle of the South Island. Lincoln University historically has done well and we wanted to ensure its future and viability. WELL DONE to Rural Women NZ and Federated Farmers for fighting hard to ensure New Zealand Post continues posting mail in rural boxes five days a week for the next few years. Kudos must also go to the Government and NZ Post for keeping this part of NZ Post’s deed of understanding in place and rightly recognising that rural New Zealand is different. However, what is most disappointing are the ill-conceived claims – typically in some urban media – that this decision is evidence of the Government playing favourites with its rural base. It shows that the oft-mentioned rural-urban divide still has a way to go before it is bridged. As no doubt both Feds and RWNZ argued, when lobbying for the maintenance of the current mail service to the rural sector, rural customers are unique when it comes to connectivity. Their remoteness prevents them from popping down to the doctor, trade store or shop to pick up what they need. And despite the spread of the new technology, many in rural areas are either not connected to the internet or must still survive on a slow, dial-up service. According to Statistics NZ, about 78% of rural households had access to the internet in 2012. As mentioned, dial-up is a reality in the hinterland. Even when the Rural Broadband Initiative (RBI) is completed in 2017, only 86% of rural households will have access to it. It’s estimated that some 80,000 rural New Zealanders will still be without high-speed internet access. That makes it very hard to do simple business things like paying a bill online, internet banking and accessing electronic information. As Fed Farmers has rightly claimed, “rural delivery is a lifeline that right now they cannot afford to lose”. Or as RWNZ submitted, “rural post is a wraparound distribution service that is part of the fabric that holds rural communities together”. With NZ Post’s deed to be reviewed again in 2020, hopefully the rollout of ultra-fast broadband will by then have gone further in rural areas. Until then, it is only fair rural NZ keeps its lifeline to the rest of the country via a five-day-a-week mail delivery service.